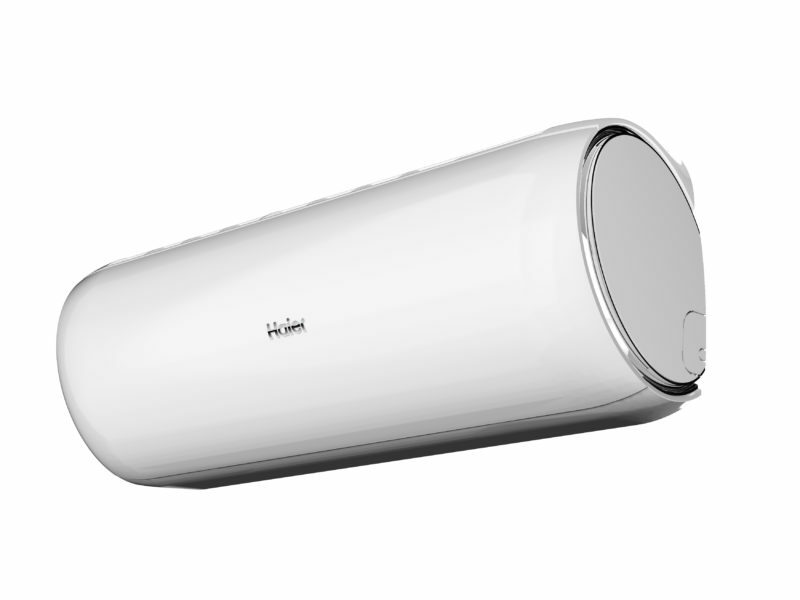 Haier Dawn is a series of air conditioners in which the applied solutions and modern technology of noise control have enabled the reduction of the sound power level to 15 dB. Built-in motion sensor captures the presence of a human in the room, automatically adjusting the frequency and operating mode (energy saving), adjusting it also to the number of people staying in the room. The light sensor detects changes in the intensity of sunlight in the room and automatically enters the sleep mode. The construction of the device allows heating the room at an external temperature of even -30 ° C.
Those who value modern design will certainly pay attention to the streamlined shape of the housing, discreet display and delicate backlight. For installers, the easiest way to install the device will be an important factor.